Most of the luxury cars I review are equipped with tens of thousands of dollars of options, which is lovely, but it’s refreshing to get behind the wheel of a more modestly equipped car. 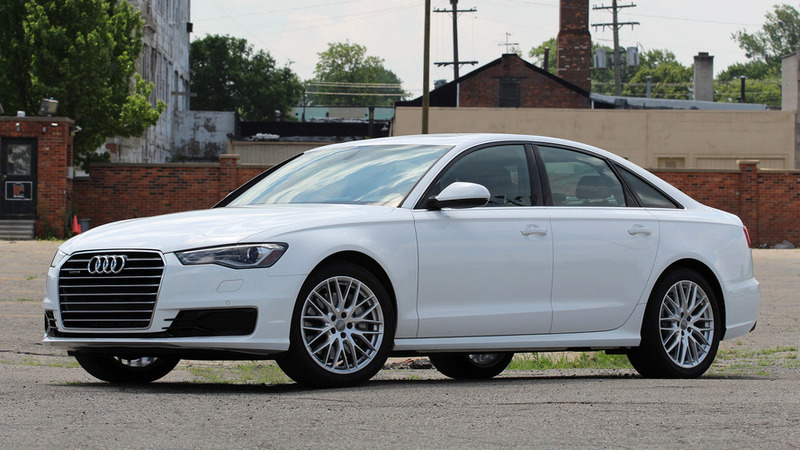 This Audi A6, with ‘just’ $6,325 in add-ons and the car’s base, four-cylinder engine, is a good look at the type of luxury car many real-world shoppers actually want – and can afford. Though it lacks many of the gee-whiz features that I love playing with, this Audi A6 2.0T still has what counts: standout style, a handsome cabin, and a fun-to-drive chassis. If this were all the luxury sedan I could buy, I’d still be pretty thrilled to slip behind the wheel each day. 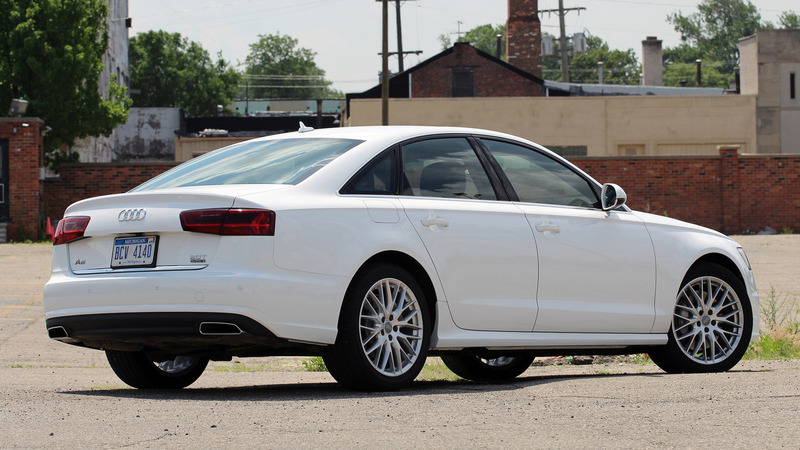 Though I have a huge soft spot for the A6’s upgraded 3.0-liter supercharged V6 engine, the truth is that this 2.0-liter base motor provides ample thrust to get the A6 moving. Fuel economy is not hugely better than you’ll get from the six (the 3.0 drops only 2 miles per gallon in city and highway mileage ratings compared to the 2.0), but the lower entry price will buy a lot of extra gas – upgrading an A6 Premium Plus from the four-cylinder to six-cylinder engine costs $5,300. Incidentally, this 2.0-liter engine received a power bump when the A6 was updated for 2016 – up 32 hp and 15 pound-feet to totals of 252 hp and 273 lb-ft – and its run to 60 miles per hour takes only 0.7 seconds more than the 333-hp A6 3.0T. Maybe picking the base engine isn’t such a sacrifice after all. 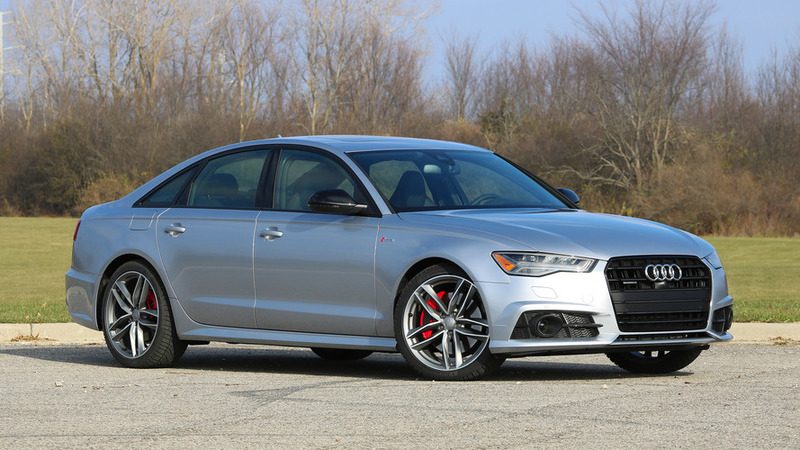 It’s been five years since this generation of Audi A6 reached the U.S., but thanks in part to a refresh for the 2016 model year, it looks as enticing now as it did back then. With ultra-taut lines and a subtly plunging roofline, the A6 screams understated style. It especially pops in Ibis White, and not only because almost every other Audi I see is painted black or silver. Audi’s MMI infotainment system remains one of my favorites simply because it makes distraction-free operation so simple. Because I can jump between submenus – radio, telephone, navigation, etc – with physical buttons, and then use the four-corner switches to activate context menus, I can perform many functions by feel without taking my eyes off the road. In a Mercedes or BMW, for instance, you have to twist and nudge the control knob to swap submenus; in a Lexus, the pointer-like infotainment interface is a huge distraction. In the same way that your iPhone 5 seemed great until the 6 launched, the introduction of Audi’s Virtual Cockpit interface in other cars (A4, R8, TT, Q7) makes the A6’s dashboard feel a bit old. The ability to call up music, navigation, phone, or trip information in the eight-inch color screen in the instrument cluster is still great. I just miss the giant, reconfigurable Google Earth satellite images you get on cars with Virtual Cockpit. The downside of the firm, Germanic handling is that the A6’s ride can be a little on the stiff side. That’s fine by me – impacts over rough roads are never jarring – but a Lexus or Mercedes this is not. Whereas the exterior remains fresh, the inside of the A6 appears ready for a facelift. The crisp displays, roomy back seat, and tactile controls are all still lovely. I just miss the beautiful materials and slick design of the A6’s newest rival, the 2017 Mercedes-Benz E-Class. The plastics and other materials used in the Audi’s cabin simply don’t feel as “special” as you’ll find in the ‘Benz.